Happy New Year and welcome to the NEW AND IMPROVED bumwinebob.com for a special holiday edition of the Forty Of The Week! 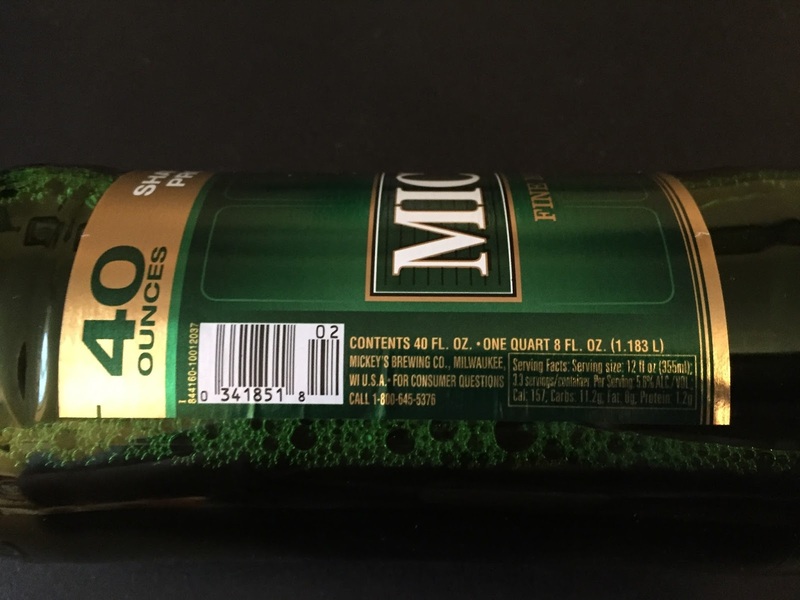 Did you know that January 1st isn't just New Years Day, it's also national Malt Liquor Day? Think you couldn't feel any worse after New Year's Eve? Think again! To celebrate this special day, we have named Mickey's Fine Malt Liquor as the BWB Forty Of The Week! Grab a bottle and join the party! Why Mickey's you ask? Well there were many potential suitors for this privilege, but when it came down to picking a winner that had not yet been featured on the site, I only had one potential winner in mind. 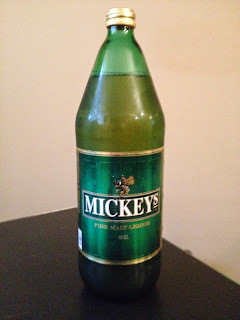 You can never go wrong with some fine malt liquor! Mickey's is currently made by our friends over at the MillerCoors brewing company and has been in production in one form or another since 1962! Coming in at 5.6% ABV it will give you a nice buzz to help relax after having to deal with your family this holiday season. The taste is very satisfying and goes down smooth. 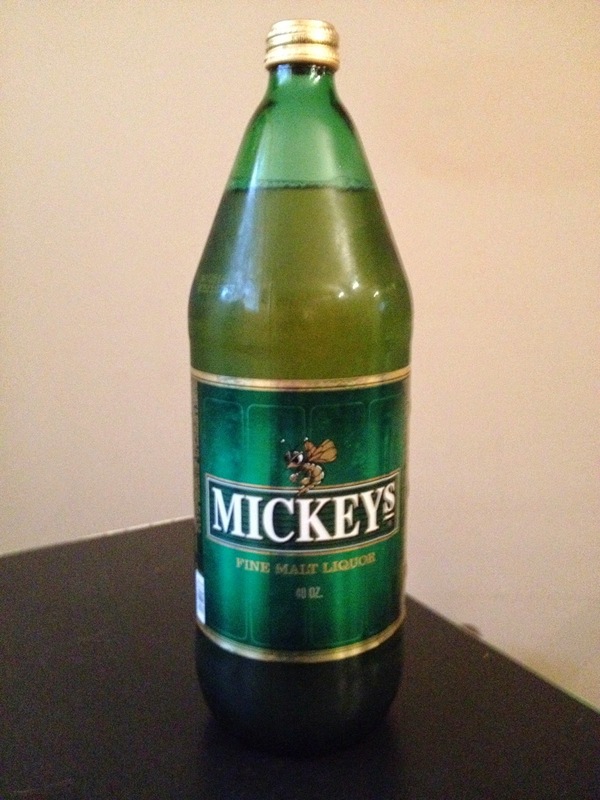 This is definitely a fine malt liquor! 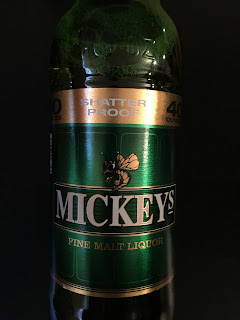 In addition to being in a forty ounce, Mickey's is also great to be enjoyed in some of it's classic mini grenade bottles as well. 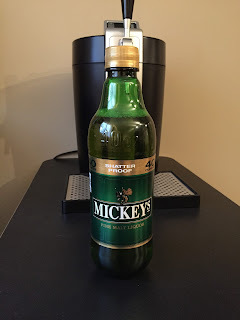 Now as you should have noticed, Mickey's is now only available in plastic bottles like many other forty ounce beverages on the market today. While I have gone into detail in some of my previous FOTW posts about the pros and cons about the switch from glass to plastic, there is one detail from one of our loyal readers, HB that I missed; "You missed the other benefit of the plastic bottle. Cannot be made into a weapon as easily in a bum fight." Is that a good or bad thing? I guess that depends on the situation you are in during the time of consumption. 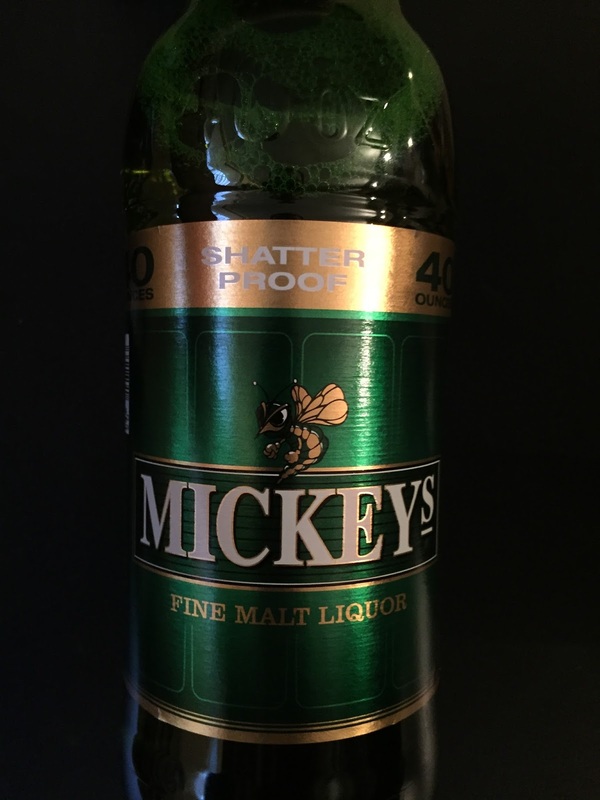 Celebrate the New Year of 2016 and Malt Liquor day with some Mickey's Fine Malt Liquor! 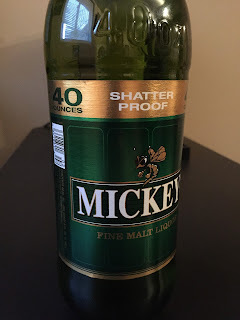 It's Malt Liquor Mania on this Sunday's edition of Bumming with Bobcat, BROTHER! After a brief holiday recess this past week, we are ringing in 2016 with the NEW gold standard of podcasts! We will be discussing all the New Years and Malt Liquor Day festivities, recapping all the holiday cheer, Four Loko GOLD, Mickey's Fine Malt Liquor, the last week of the NFL regular season, AND MORE! Want to be part of the show? The phone lines will be open and you are welcome to call in at 347-826-9598 to join the party. Cheers!